Dr. Suzanne McNeill was born in Toronto but mostly grew up in the West Island of Montreal. She started her post-secondary education at John Abbott College with a DEC in science. During her undergraduate education in biochemistry at McGill University in Montreal, she became interested in vision via assisting in research with Dr. Hess at the McGill Vision Research Centre. She then obtained her doctor of optometry degree at the University of Waterloo, which included primary care rotations in Kitchener and Ottawa as well as an ocular disease rotation in Dallas, Texas. During that time, she also participated in an Optometry Outreach trip to Paraguay with Volunteer Optometric Service to Humanity (VOSH) at the Clyde E Bay Foundation clinic. 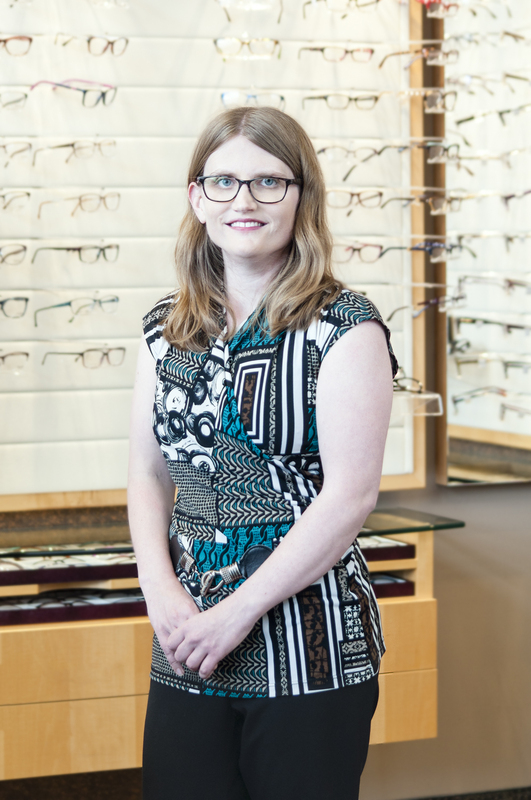 She is a member of professional organizations such as the Ontario Association of Optometrists and the Canadian Association of Optometrists. She is also a leader with Girl Guides of Canada, and enjoys going to the gym, playing computer games, and playing the violin in her spare time. Elle offre des services en français et en anglais.